Relaxed style, meet knee-high elegance: we've combined our classic boho boot with a longer line to make stepping from desk to dinner easier than ever. 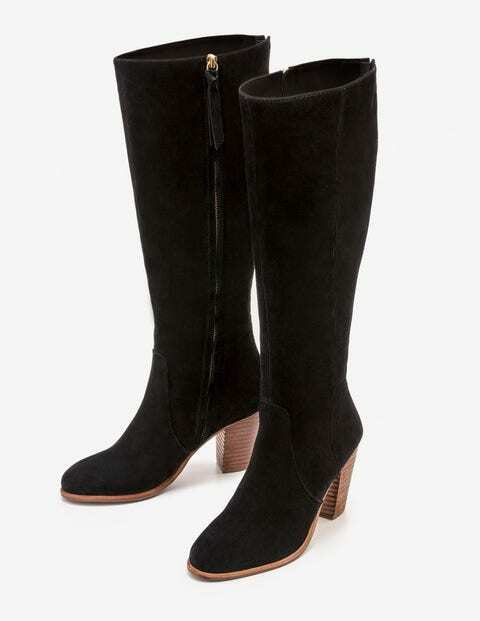 They're made from supple suede with hidden elastic at the back, so they're a cinch to zip on over your jeans. The chunky heel is kind to your feet on long days.